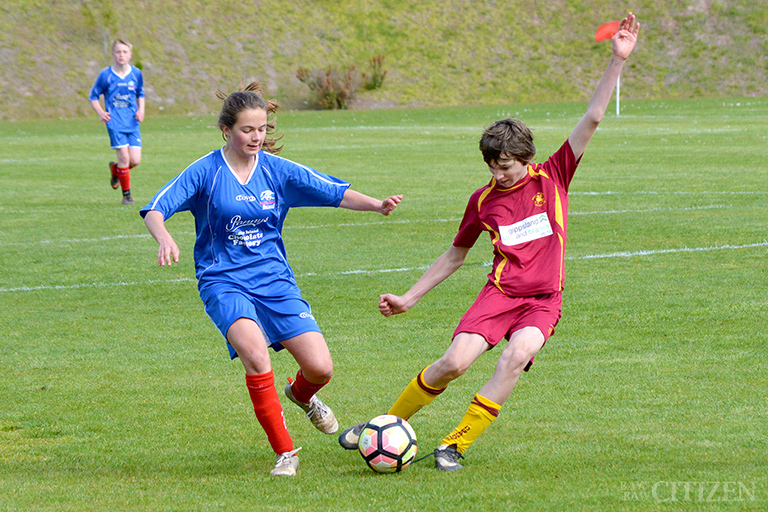 Gippsland Soccer League ~ Drouin Under 14s Mixed faced a strong Phillip Island side in their grand final game on Sunday, scoring one point to the Breakers’ five. First published in the 27 September 2018 edition of the Baw Baw Citizen. Get your copy free today! The result was frustrating for the team, which had sat comfortably at the top of the ladder. “Yeah, it was a tough game,” coach Jamie Spencer told the Baw Baw Citizen. It was a fast-paced game, too. “They used the ball a lot better than us,” Jamie said. “It’s always hard being an undefeated team during the season mate, there’s always one loss in ya, and unfortunately that was today. “They (Phillip Island) brought a good game, we knew they were going to be good competition. The team’s strong achievements throughout the season are even more impressive when considering how young the side is.